NEW YORK — Easily accessible and always highly informative, Alan Colmes was an automatic “go-to” guy for a juicy news item quote, long-form industry piece, or as a convention panelist. Quick wit he displayed was rooted in his days as a standup comedian and Alan Colmes was indeed a “standup” individual. Bright, friendly, and entertaining barely scratch the surface in describing this progressive voice who competed – and succeeded – in a largely conservative talk radio world. Sadly, that distinctive voice and message was silenced yesterday (Thursday, 2/23) as Colmes died at the age of 66. Numerous times over the last roughly 30 years, he graciously chatted with me on- and off-the-record. The following is an edited version from my long-form personality profile of Alan when I was Inside Radio’s special features editor. It’s often said your biggest break is your first one. As a student at Ithaca College, Alan Colmes was positively ecstatic when he landed a weekend radio job in Albany. Ironically, Colmes would become the very last person to do a radio show and play the chimes on WNBC – the station that inspired him to become a talk show host: He was the station’s afternoon drive personality when it disappeared on October 7, 1988. Ten years later, Colmes seized his chance to do a three-hour (11:00 pm – 2:00 am) New York radio shift for WEVD. In September 2001, WEVD was leased to ABC for its ESPN Sports format. Thus, in another twist of fate, Colmes was – once again – the last voice heard on a New York radio station. Overseeing a nightly FOX show wasn’t Colmes’ first foray into syndicated radio, given that he was one of the principals when Daynet hit the air on October 1, 1990. Major Networks purchased Daynet at the beginning of 1994. 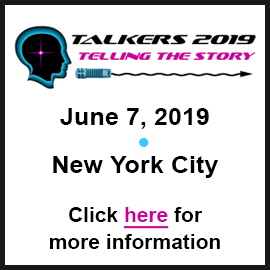 Two years later, Colmes, Barry Farber and United Stations’ Nick Verbitsky developed the talk radio arm of United Stations.